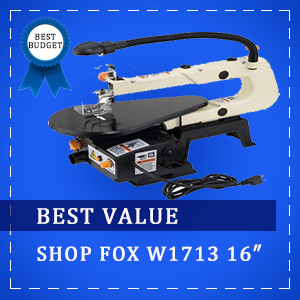 This Excalibur Scroll saw is top notch, it does everything you need it to do, from nicknacks, clocks, intarsia, and this one passed the “nickle test,” i.e., place a nickel on its edge on the table top surface and go from the lowest speed to the highest speed without the nickel falling over. Very low vibration if using on a bench top, but hardly any on the stand it was made for. Upper arm position works terrific when set up parallel to the table and the little vibration this machine does produce will be minimized by doing this set up. To have your arm parallel to the table, you just have to measure the height at the back of the table and at the end of the arm. Calibrate the “tension” knob until your upper arm relaxes at a parallel position. 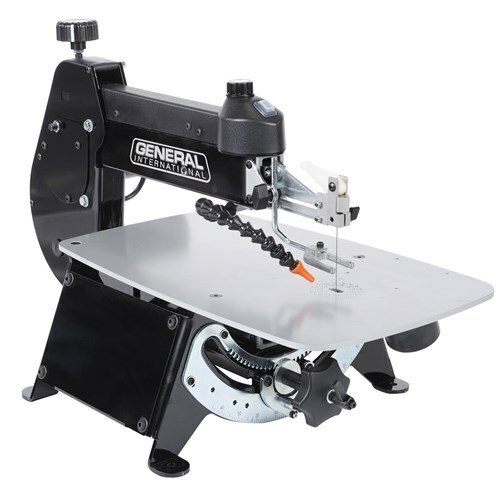 This saw has all of the controls located on top of the head so they are more accessible to reach while cutting and instead of the table tilting to the left or right, the saw head literally tilts. Table surface: 12 in. x 18-1/2 in. 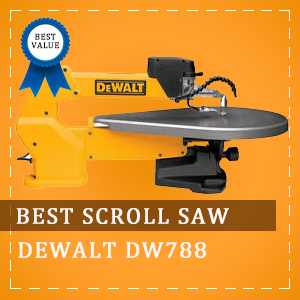 With this saw you will always be sawing on a flat table. It’s much easier to control the material and visually see what you’re doing and the result is a better cut. There’s no tools required when switching the blades, can be changed with finger operated blade clamps. A professional scroll person will get a lot out of their investment but the price tag is a little bit on the high side but worth the money if it will be used regularly. If you’re not sure if you will be using this scroll a lot or testing out a new hobby, you will have to pay a hefty price. The price is worth it and then some, I highly recommend this saw to everyone and if you’re a beginner with some extra cash flow you will not regret buying this saw. Love it.